The tradition of creating beautiful mosaic floors in the terrazzo style originated in Venice and has been a feature of Italian architecture and interior design for centuries. 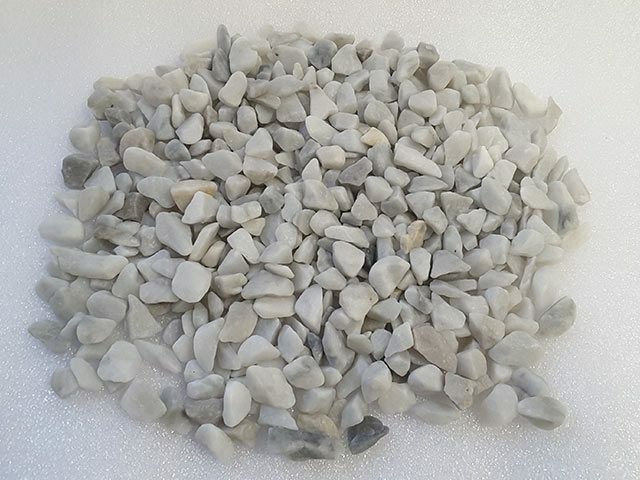 Now from Italy comes the perfect stone to integrate into your terrazzo flooring projects here in Ireland?the Italian Bianco Carrara Terrazzo Chippings. Carrara White Marble is a hard white marble with a hint of blue grey through it. Made from the finest quality Italian marble, the Italian Bianco Carrara Chippings add pure white colour to the design of terrazzo floors. This natural stone is predominantly white, but you will find flecks of cool blue and light grey veins throughout the natural rock. 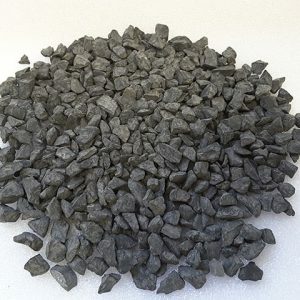 This chipping is commonly used as a base coat and mixed with other aggregates. 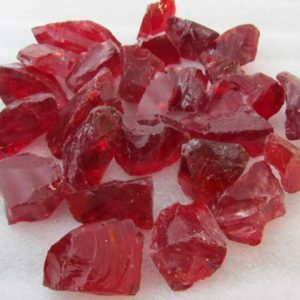 No two pieces are completely identical due to the innate properties of the marble. This allows for breathtaking finished results with any flooring project. The snowy white colour of the Italian White Carrara Terrazzo Chippings makes these marble fragments highly versatile and ideal for combining with many of the other terrazzo chippings in our collection. When placed beside the cobalt or turquoise glass chippings, the blues in the marble become more apparent, and the Italian Nero Ebano chippings bring out the grey tones for gorgeous results. While the Carrara White Marble are the perfect choice of material for creating terrazzo floors indoors or outdoors, these marble pieces have other uses as well. They are sometimes used as base coats for paving because of their simple, all-white look. 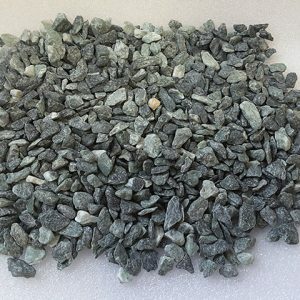 In addition, they can be used as a garden aggregate alone or blended with other rocks of your choosing. 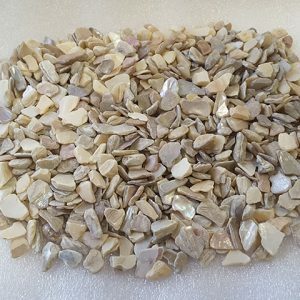 These chippings are also ideal for creating stylish mosaics on accent walls and for crafting custom mosaic backsplashes. 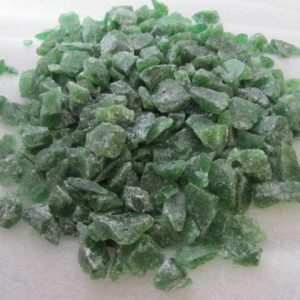 The prices quoted are based on small order quantities, please feel free to contact us for larger amounts.